The Tennessee Titans have agreed to terms with Mike Vrabel to become the 19th head coach in franchise history.  Vrabel has 18 years of NFL experience, four as an NFL coach and 14 as a player. His distinguished playing career included three Super Bowl wins (2001, 2003 and 2004), one Pro Bowl selection (2007) and an All-Pro honor (2007). Vrabel played in 206 NFL games, totaled 57 sacks, 496 tackles, 11 interceptions, 20 forced fumbles, nine fumble recoveries and 10 touchdown receptions. Vrabel has 18 years of NFL experience, four as an NFL coach and 14 as a player. His distinguished playing career included three Super Bowl wins (2001, 2003 and 2004), one Pro Bowl selection (2007) and an All-Pro honor (2007). Vrabel played in 206 NFL games, totaled 57 sacks, 496 tackles, 11 interceptions, 20 forced fumbles, nine fumble recoveries and 10 touchdown receptions. Additionally, his teams advanced to the playoffs eight times (20 postseason games), with Vrabel recording eight postseason sacks and two postseason touchdown receptions. Vrabel joins the Titans after four seasons with the Houston Texans, spending the first three seasons (2014-16) coaching linebackers and one year (2017) as the team’s defensive coordinator. During his time in Houston, the Texans built one of the best defenses in the NFL and experienced tremendous success as a team – earning two division titles (2015, 2016). Between 2014-16, the Texans defense ranked third in the NFL in yards allowed per game (319.9) and net passing yards (218.4). Houston also ranked first in third-down defense (33.6), fourth in opponent completion percentage (59.5) and sixth in points allowed per game (19.8). The 2016 defense ranked number one in the NFL, for the first time in franchise history, in yards allowed (301.3). Last season, in his first year as defensive coordinator, the Texans were decimated by injuries, finishing with 19 players on injured reserve. Despite the injuries, Vrabel led the defense to the fifth best third-down defense in the NFL and a franchise record 3.97 yards per carry by opponents. Houston also had 18 different players record at least half a sack last year and 26 players tally at least one tackle for loss. Vrabel spent his career playing and coaching with accomplished leaders, including Bill Belichick, Bill Cowher, Romeo Crennel, Urban Meyer, Bill O’Brien and Todd Haley. As the Texans linebackers coach from 2014-16, Vrabel developed several players into top-notch performers, including Jadaveon Clowney (Pro Bowl, 2016), Whitney Mercilus, Benardrick McKinney (2nd team All Pro, 2016) and Brian Cushing. The 2015 Texans defense had the top third-down defense in the NFL (28.5%), which was the lowest percentage in franchise history and the lowest by any NFL team since the 2003 Titans (27.7%). The 2015 defense also set a franchise mark for sacks in a season with 45 - 22.5 coming from Vrabel’s linebacking corps. Prior to joining the NFL coaching ranks, Vrabel transitioned immediately from an NFL player to college coach. He started as the linebacker coach at Ohio State in 2011 and coached the defensive line from 2012-13. The 2012 Buckeyes finished the season undefeated at 12-0. He also was named Big Ten Recruiter of the Year by ESPN.com in 2012. Vrabel was selected by the Pittsburgh Steelers in the third round (91st overall) of the 1997 NFL Draft, after his playing career at Ohio State, where he earned All-America honors and Big Ten Conference Defensive Lineman of the Year in both 1995 and 1996. A native of Akron, Ohio, Vrabel attended Walsh Jesuit High School. He and his wife, Jennifer, have two sons – Tyler and Carter.